Siddha means perfect and Sanmarga means righteous path. "Siddha Sanmarga" means the perfect righteous path. Only that path can be called as ‘Sanmarga’, which is not based on static and rigid thinking, but is out of free and honest thinking, conviction, and benediction to lead a person to complete or total liberation of his mind. When complete or total liberation of mind is the goal, the age-old methods, dogmas, rules, and religious practices; which most of us have been following, have to be discarded at once as freedom alone can lead to freedom; but not rigid conditioning of mind to total freedom of mind. 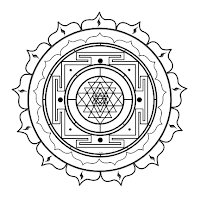 That being said, Siddha Sanmarga Satya Sangam® is not a religious organization or a cult, but a congregation of souls who are working for complete or total liberation of their mind. So it is a no path’s path. It encourages and tries to inculcate free and honest thinking in its people there by making it easy for them to lead a life of clarity and conviction than that of confusion. Siddha Sanmarga Dhyan guides us towards spiritual progress and enables us to achieve and shape up all material and spiritual desires and finally achieve a state of “Desire-less Desire”. Siddha Sanmarga® unfolds the Inner Infinite Potential that resides within oneself. This is not a technique; it’s a way of life. Whatever happens in our life, the happiness or sorrow that we experience are a result of our past Karmas accumulated over our innumerable births. These stored Karmas are a reason for our unhappiness, failures, diseases, scarcity, poor relationship, mental stress and trauma etc. The Siddha Gurus have revealed that we have the potential of dissolving our past stored Karmas by invoking the Divine Cosmic Energy – Datta Jyothi & Shiva Jyothi. The Divine Energy releases our past negative Karmas and brings unlimited happiness, peace, prosperity, abundance and health in our lives. However, none of the shastras reveal the ways and means to activate these powers. They were kept secret and only transferred from master to worthy disciple through shaktipath. Generally, it is said that only Guru can unlock the door that leads to GOD. Fortunately, with the divine grace of Lord Sreepada Sreevallabha, Guru Atmananda ji does ‘Shaktipath (giving the spark of the soul), Pranapath (linking the breath of the master with that of the student), and Shivpath (linking the master’s kundalini with that of the student)’ in Siddha Sanmarga Healing & Dhyan Shivir, which connects us to our very own inner infinite potential, which we have lost connection with, and we are blessed with the powers to invoke the Divine Cosmic Energy to rain on us. Through Siddha Sanmarga Meditation & Healing - the Himalayan way, we are not only connected to ‘the highest divine healing energies known to man till date but also to what the greatest guru “Sri Ramalinga Swamigal” called “Grace Light , An initiate will experience continuous and constant flow of a beautiful light called the “Grace Light”, which has the divine alchemical properties. By invoking these energies, our body starts vibrating at a very high level, thereby throwing out problems and disease‑causing negative energy. Chakra cleansing is immediate, and we feel light, clear, and joyous almost instantaneously. Every student can experience the heaven gates pour down the cosmic light as a rain just by his mere wish. Thus with the burning of our Karmas, cleansing of Chakras, and energizing nerve plexus (nadis), we start materializing what we want in life. Going after your desires/goals is not always as easy as it sounds, but the rewards of obtaining what your heart desires are priceless. We all in this world are working towards our goals. The goals are set by the mind and we happen to develop a lot of stress by straining our mind in the process of goal manifestation. If we increase the energy level of the mind and let this energy work towards our goal, we would never have stress in our lives. Siddha Sanmarga by using secret Himalayan methods enables you change your basic level of energy and work towards holistic and harmonious mind by its goal-oriented meditation. * Self healing with the highest divine cosmic light known to man till date in any yuga/age pouring down on you just by your mere wish. * Experience a deeper state of Samadhi. * Find peace within yourself by loving unconditionally and living unconditionally through your inner infinite potential. Let the bud in you unfold into your own flower of life. * Manage challenging work situations with greater calmness and clarity of mind. * Watch every aspect of your life skyrocket with your new found inner peace. * Start taking your life in the direction you want it to be taken! Don't let karma decide what you should do or where you should go! * Get rid of anxiety and stress, don’t let them lead your life – recognize and release them. In general, Siddha Sanmarga meditation develops your ability to feel connected to life. Meditators in Siddha Sanmarga often describe a deep sense of trust, support, and guidance that comes in their meditation practice. You all are welcome in this journey “the Himalayan way” with Siddha Guru ATMANANDJI!! Siddha Sanmarga can give you all that you want , in essence a free and balanced mind. A Best way to have a Best Life! 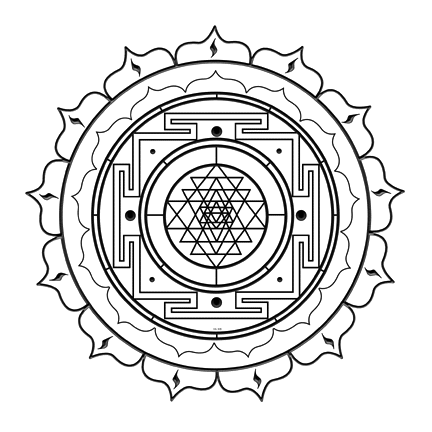 Siddha Sanmarga shows you the power of your creative mind and propels you towards this goal of spiritual upliftment or the ascension, which is ahead in 2012. NAMASKARAMS GURUJI.THERE ARE SO MANY PEOPLE WANTED TO LEARN IN VIZAG. SINCE THEY ARE NOT AWARE OF THE SCHEDULE THEY COULD NOT ATTEND,KINDLY VISIT VIZAG AGAIN.